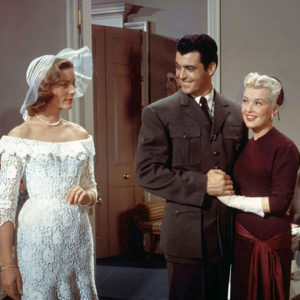 Twentieth Century-Fox brought out big guns Betty Grable and Lauren Bacall to star with Marilyn in this story of gold diggers prospecting to catch a rich husband. The studio was keen to show off its top three stars in the first wide-screen Cinemascope movie ever made (though it came out after the second, The Robe, a religious-themed movie starring Richard Burton and Jean Simmons). Writer Nunnally Johnson claimed that he adapted the characters to match the personalities of the three stars. 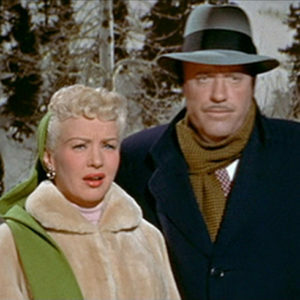 Although the studio tried to arouse press interest with stories about intense rivalry between chief blondes Grable and Monroe, the actresses got on well behind the scenes. By all accounts Grable graciously handed over her mantle after ten years as the nation’s sweetheart. 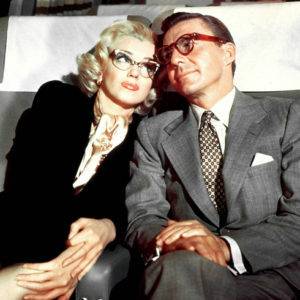 Marilyn was originally drawn to Loco, the character Grable played, because she didn’t like the idea of her character Pola wearing glasses. 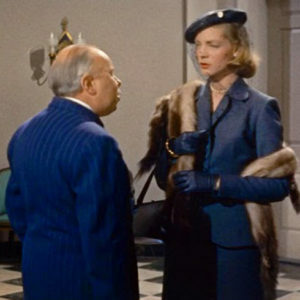 Director Jean Negulesco persuaded her that this was the best part. He was right. 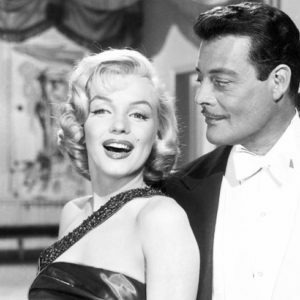 The comic possibilities of severe myopia earned Marilyn a number of favorable notices about her comedic touch. 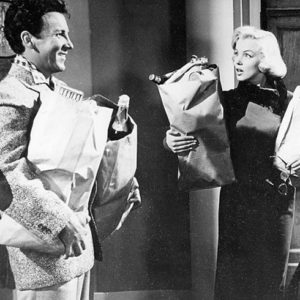 Marilyn, though, did not regard this movie performance as one of her best. When she asked the director what the motivation for her character was, he replied, “You’re as blind as a bat without glasses. That is your motivation.” This was not enough to satisfy Marilyn’s ambition to throw her all into her work. 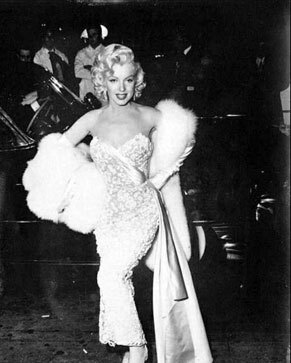 Marilyn knew she had made it to the very top of the trade with the movie’s premiere. It took over six hours of hard work by William Travilla, Alan “Whitey” Snyder, and Gladys Rasmussen to prepare her for her entrance. She was sewn into a dress borrowed from the studio wardrobe: a flesh-colored crepe de chine and shimmering sequins. 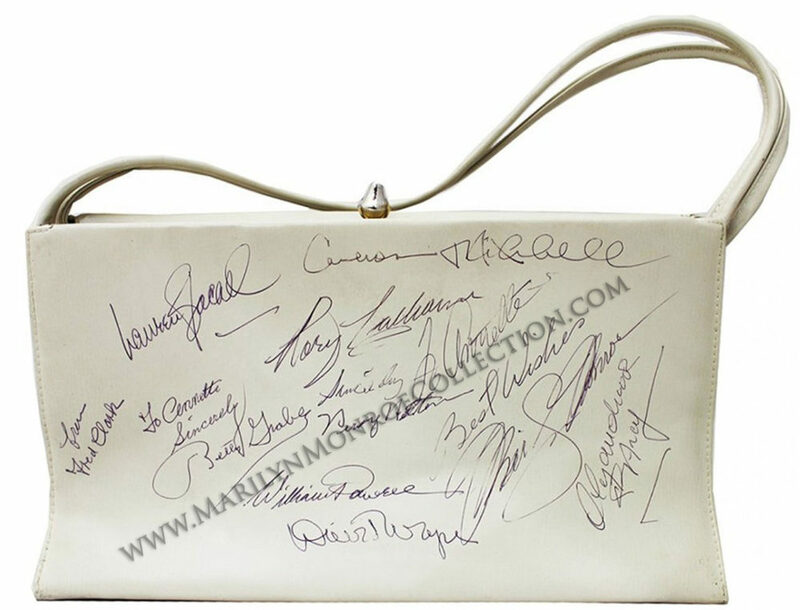 Marilyn wore long white evening gloves, and a white fox stole and muff. Within a few months of opening, the film had grossed five times its extravagant budget of $2.5 million.